In 2017, we started with just one school: Mtakuja Secondary School. Mtakuja became a beacon of success and a genuine example of what a Quest Forward Learning school looks like. We joined with six schools in the Arusha and Kilimanjaro regions in 2018, each one unique, but with a common passion to provide the best education in the country using Quest Forward Learning. These schools include: Natiro Secondary School, Ekenywa Secondary School, Bishop Moshi Secondary School, Agape Lutheran Junior Seminary, Marangu Hills Secondary School, and Uroki Secondary School. Our numbers grew from 60 students from Mtakuja to just under 300 students across all 7 schools. This welcome growth challenged our team to provide the best student and mentor support possible to fulfill our increasing needs. We saw some schools struggle as they adopted a new methodology, but we also saw schools that, despite continuing obstacles, were able to thrive and do their best to creatively overcome them. We look forward to continued growth in 2019. Not only are our current schools expanding their classrooms with the addition of a new grade level, but they have been blessed with new school partnerships. Six more schools in the Arusha and Kilimanjaro regions, as well as the opportunity to work with six schools in Zanzibar and one school in Dar es Salaam brings the total to 12 additional schools that we will work with. We are now learning from the evaluations and feedback we received from various stakeholders who were instrumental to the successes of our 2018 Quest Forward implementations. This information played a very important role in the creation of a carefully crafted Launch Book that we have used to equip the schools with the knowledge and information they need to successfully launch more programs in 2019. We used the challenges faced by the various stakeholders to prepare to mitigate the anticipated similar challenges that new schools will face in 2019. The Launch Book outlines a 6-phase process that has previously and continues to act as a guide for our new schools to successfully launch Quest Forward Learning. Our hope for the coming year is to increase to and retain, at least 20 schools in the country. With seven in 2018 and the additional 13 we anticipate will join us in 2019, we expect the numbers of Quest Forward students to rise from under 300 to over 1,000. Our current Quest Forward Learning schools will learn and grow from their setbacks and accomplishments and invest more in anchoring the methodology at their schools through their mentors. In 2019, school leadership will work with us to continuously ensure successful launches and the adoption of the Quest Forward Learning methodology. While we know we will face new challenges, this experience will help us grow and find new means to better ourselves across all areas of our program. 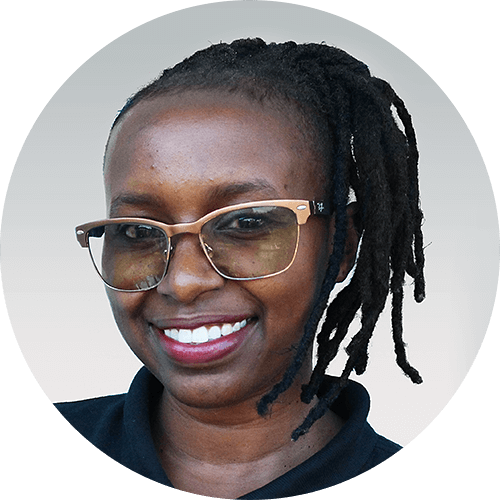 Eli Lema is the Implementation Manager at Opportunity Education Foundation Tanzania, where she leads the planning, implementation, and launch of Quest Forward Learning in schools around Tanzania.